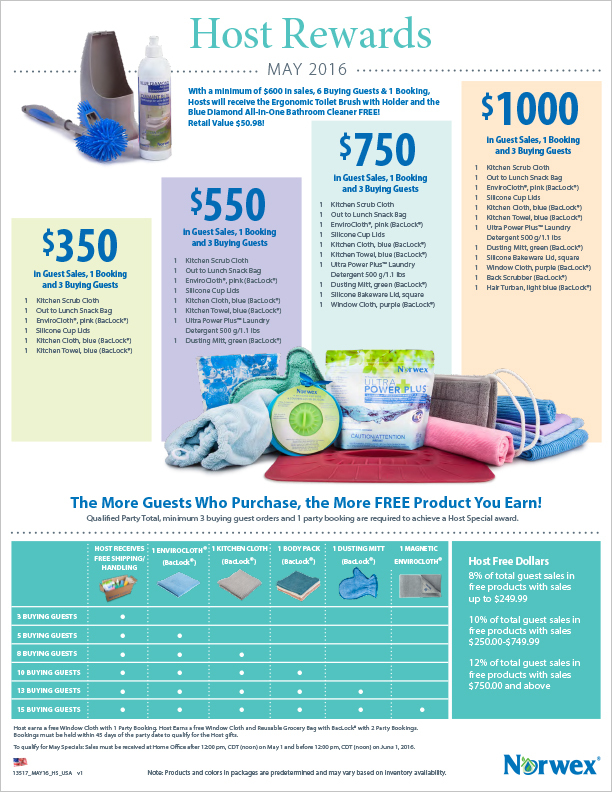 May 2016 Norwex Hosting Gifts! May is another month to host a Norwex party! Whether it be an in-home party, catalog party or online party, YOU can earn these amazing hosting gifts!